Lock bumping is a phenomenon that has been getting a lot of attention in recent years. Most homes still use cylinder locks as a main source of security, but these locks are easily compromised with a little know-how and a few basic tools. To bump a lock, a burglar inserts a specially cut key into the lock, and then gently “bumps” it with a mallet or a screwdriver. This forces the pins in the lock to the shear line as the key turns and the door opens. The “bump key” required to accomplish this is simple to acquire and can even be ordered online. The technique requires no special skill and it's effective most of the time, allowing thieves to enter your home without any sign of forced entry. It's, therefore, a realistic threat that you should take seriously when evaluating home security. Lock bumping was first classified as a security concern around 2002. Lock bumping is a technique that had long been used by locksmiths for half a century when they needed to access a lock with no key readily available, but it was not a well-known criminal technique. Lockpicking was still the most well-known way around locks, which takes time and requires specialized tools and training. The brute force to get around a lock makes noise and leaves behind signs of a break-in. Lock bumping, on the other hand, is quick and relatively quiet. A bump key is required for lock bumping to be effective. The key must be the appropriate size for the lock, but the only other requirement is that each ridge in the key is cut to maximum depth. People often refer to bump keys as “999 keys” because each ridge is cut to a depth of nine in a key-making machine. These keys are therefore easy to produce and acquire, and take less than five minutes to make. Older and cheaper locks are actually more resistant to bumping because they are not cut as precisely; they're clunkier and the internal pins don’t move as smoothly as higher-end locks. It is difficult to know how prevalent lock bumping currently is in home break-ins because it leaves no sign of forced entry and the lock continues to work normally afterward. Therefore, a burglar needs to be captured with lock bumping tools in his possession or caught in the act to verify that lock bumping was used in a crime. That being said, almost two-thirds of all break-ins do not show signs of forced entry. Many of these break-ins likely happen when criminals gain entry through an unlocked door or window or obtain a duplicate key through dubious means. Lock bumping should not be discounted as a serious threat even though it's difficult to quantify. Add chain latches to your exterior doors if you don’t have them already. This doesn’t affect your lock’s susceptibility to bumping, but it provides an additional barrier for a thief to bypass in order to gain entry. Have a locksmith modify your existing locks and deadbolts by adding additional pins to them. This doesn’t make your locks immune to lock bumping, but it does make the process more difficult. This is usually more cost-effective than lock replacement. Replace your existing locks with bump-resistant locks if you can afford it. The locks are typically much more expensive, and lock bumping won’t work on them. You can usually install the locks yourself if you want to save on installation fees. Install a home security system. A security system detects when a door opens, regardless of how it happens. The system then sets off an alarm or alerts authorities once the lock has been compromised and a burglar tries to enter the house. 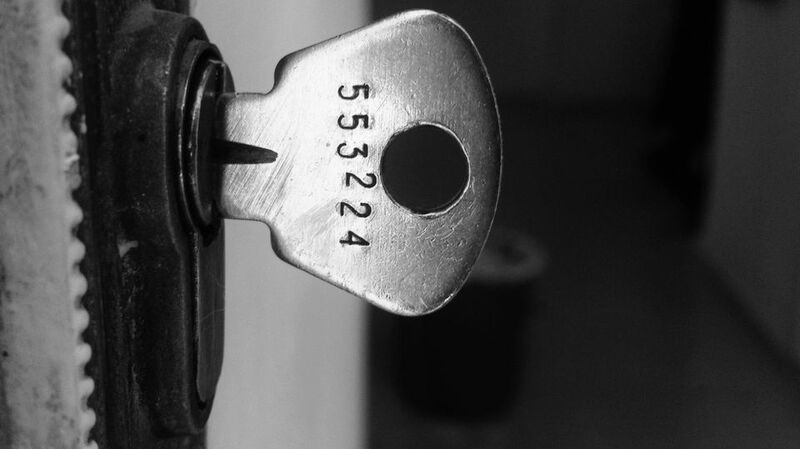 While lock bumping is a genuine concern, your first priority should still be ensuring that all your doors and windows are locked at night and when you’re not home, as those points of entry still pose the larger security risk. Once you know your house is secured, examine how to make those exterior defenses stronger. Talk to a locksmith about improving or replacing your existing cylinder locks to find out what potential solutions fall within your budget.